Great colourful card for a super Great Grandson. 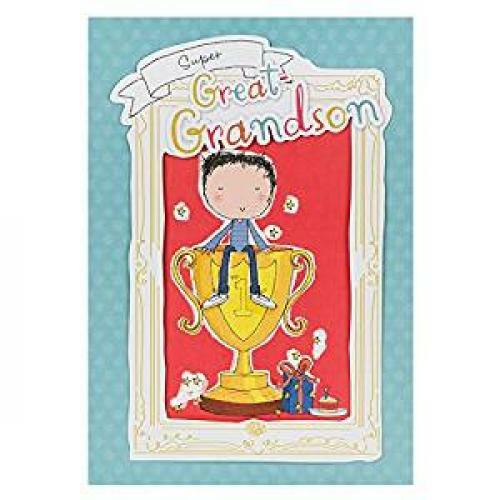 The inside of the card is bright and cheery with the verse reading " It's really very clear to see you're just as brilliant as can be..... a super-winning great-grandson, a champ, a star.... you're number one! Happy Birthday".